You are here: Home › How Will KeyArena Renovations Impact NBA, NHL? 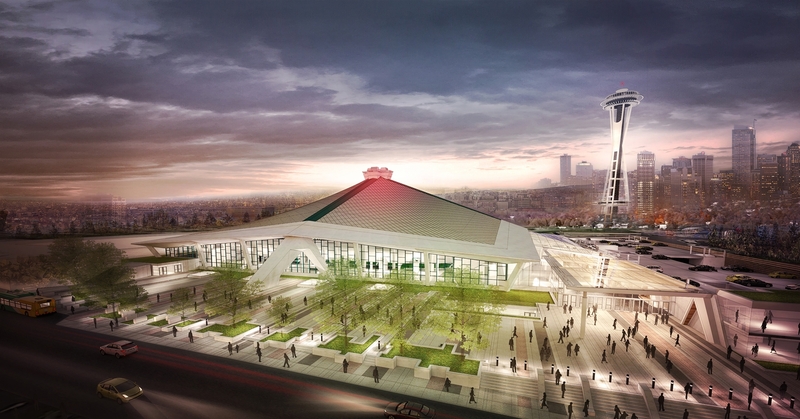 How Will KeyArena Renovations Impact NBA, NHL? With the Seattle City Council approving a memorandum of understanding (MOU) for KeyArena renovations, one big question emerges: How will the arena upgrades impact the NBA and the NHL? We may know shortly. The memorandum of understanding calls for Oak View Group to back privately financed $600 million KeyArena renovations. And though Oak View Group officials, led by OVG co-founder and notable sports business leader Tim Leiweke, didn’t directly make a promise to lure a new NHL team to town or bring back the NBA, the Seattle City Council vote was widely seen as a belief that Oak View Group would be better positioned to make the pro-sports play, versus a complete plan by entrepreneur Chris Hansen to build a new arena near the existing Seahawks and Mariners facilities. While mayor Jenny Durkan still has to sign the legislation (although she certainly indicated she would), among the other steps that need to be completed, the vote moves the process forward. Of the two leagues, it would seem that it would be easier to land the NHL than the NBA when the renovations are expected to be finished in Oct. 2020. The NBA doesn’t seem to have any teams looking at a move in the near future, so virtually the only way for Seattle to land an NBA team (as of now) would be for a league expansion. This isn’t necessarily impossible: the NBA sits at 30 teams, so adding two would for a very manageable 32 teams. And with some decent markets open now — besides Seattle, there has been talk of interest from Vancouver, Louisville and Las Vegas investors — no wonder NBA Commission Adam Silver admitted this past summer than NBA expansion was inevitable. Much can happen between now and the 2020-2021 NBA season. In terms of more immediate moves, it would appear the time is riper for an NHL team. When the NHL expanded for the 2017-2018 season to Las Vegas, it left an odd number of teams (31) the circuit. The NHL is also an unbalanced league, with only 10 teams west of the Mississippi River. (This consideration hurts Quebec City in expansion discussions.) Adding a western team via expansion — say, Seattle or Portland — would help to rectify that imbalance. The KeyArena renovation could also help address some troubled franchises in Arizona and Calgary. Seattle is a major media market; Calgary is not. So, between troubled franchises and room for a potential expansion franchise to push the league to an ideal 32 games, Oak View Group would appear to be in the driver’s seat to land an NHL team by the time 2020 rolls around.